For research-related information, advice and assistance, researchers in the Faculty of Agricultural and Environmental Sciences are encouraged to contact the research [at] macdonald.mcgill.ca (Macdonald Campus Research Office) (514-398-8716). Information about research grant funding, contracts and technology transfer, and international research and development activities is available from McGill University's Office of Sponsored Research (OSR). 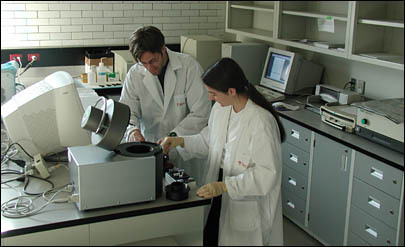 The Office of Sponsored Research is also the liaison between the McGill University administration, its researchers, and three strategic institutional funding partners, namely the Canada Foundation for Innovation (CFI), the Canada Research Chairs Program (CRC) and Genome Québec/Canada (GQ). List of contacts for the Office of Sponsored Research: click here.